Finding it hard to get to the grocery store since the Franklin Aldi’s closed? Get free delivery via Instacart, Aldi’s grocery delivery service. Look for an updated Aldi at 1311 E. Franklin Ave. in mid-April. The Franklin Aldi store closed on Jan. 28, 2018 for an extensive remodeling that will make the store over into one similar to the new Aldi that opened in the former Rainbow Foods at 2912 28th Ave. S. It will feature wider aisles, more refrigerated items and a wider selection of fresh foods. “The new store layout will provide an improved in-store experience and features additional refrigeration space to accommodate even more fresh, healthy and convenient products,” according to Matt Lilla, Aldi’s Faribault division vice president. Compared to last year, 20 percent of the Aldi product selection is new — and the company isn’t finished. In all, the company’s national growth plan calls for increasing its fresh food selection by 40 percent with many organic, convenient and easy-to-prepare options. With that model, Aldi hopes to double its sales again over the next five years. 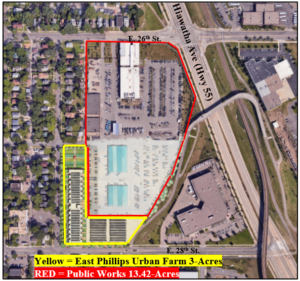 The Franklin Aldi is one of 28 Aldi stores being remodeled and expanded in the Minneapolis-St. Paul and the surrounding metropolitan area in 2019. In all, Aldi is investing $1.9 billion to remodel more than 1,300 U.S. ALDI stores by the end of 2020. The remodeled store at Franklin will bump the size of the store floor from 10,000 to 13,000 square feet of sales floor space. Aldi buildings feature open ceilings, natural lighting and environmentally-friendly construction materials. There are only four or five aisles, and every Aldi has a similar layout. Aldi caters to shoppers who are pressed for time and money. The project is being managed by Shingobee, a nationally-acclaimed commercial construction and development company. With two offices located in Minnesota, Shingobee operates throughout the upper Midwest. It was founded in 1980 by Gae Veit, a Native American woman who retired in 2007. In September 2018, the Loretto-based company returned to its roots as a woman-led construction company when industry veteran and 14-year employee Nancy Samson became its new owner, president and CEO. She previously worked as the CFO and corporate secretary/treasurer. Recent Shingobee projects include a Courtyard by Marriott hotel in St. Louis Park, the Alamo Drafthouse Cinema in Woodbury, the Gardner School in Edina, and Crisp and Green in Dinkytown. Shingobee Project manager Shane Johnson said they appreciate the business they get from Aldi. “Each project has its own set of challenges and it is rewarding at the end,” Johnson observed. • Messiah Lutheran/Community Bridge, 2400 Park Ave. S., 612-746-4108 or 612-871-8831. Tuesdays, noon: Free hot meal following community Bible study. It is not required to attend the Bible study, but the food will be served at noon and go quickly. Thursdays, noon: free hot meals except on holidays. Food shelf: second Fridays and fourth Saturdays, 8-11 a.m.
• Community Emergency Services, 1900 11th Ave., 612-870-1125. Food shelf, Monday-Thursday; people start lining up at 10:30 a.m. Meals on Wheels, weekdays, noon: free hot lunch meal delivery service available to ages 60+ or people with limited mobility. 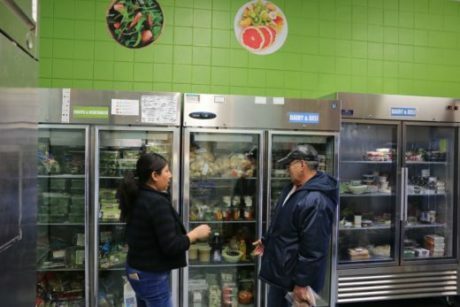 • MN Food Helpline, 1-800-936-1154, weekdays 8:30 a.m. to 4:30 p.m. Calls connect residents with resources like SNAP, food shelves, farmers markers, meal programs and discount grocery programs. • Nutrition Assistance Program for Seniors (NAPS), 651-484-8241 or 800-365-0270, box of nutritious food each month to eligible low-income seniors, 60 years and over. Boxes are distributed at many locations; call Second Harvest for more information about eligibility, applications, and delivery sites. • Help at Your Door is a nonprofit offering a grocery delivery service for elderly and people with disabilities; people can use a printable product catalog to order food via phone or online. The service is available on a sliding scale from $5-$35 with a minimum order of $40. Participants can use EBT to pay for groceries, unless people get cash benefits on their EBT card. 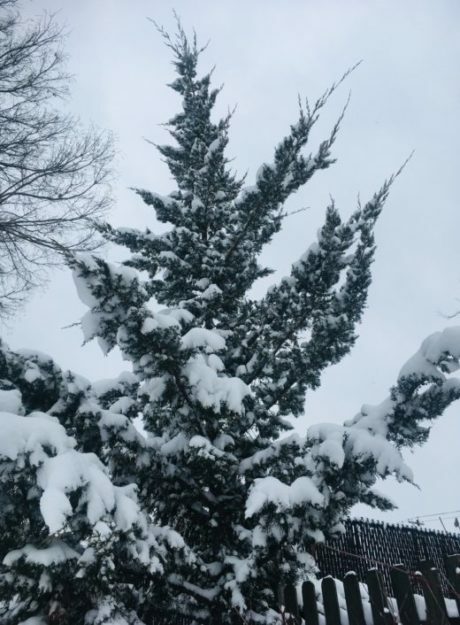 In the 55404 zip code, people would get called on Wednesday or Thursday for their order and then have groceries delivered the following Tuesday. More info at https://helpatyourdoor.org/services/, (651) 642-1892. • Fare for All is an organization that purchases fresh produce and frozen meat in bulk from wholesalers and manufactures, and then pre-packs the produce and meat into affordable food packages that range in price from $10-$30. It then sells the packages at delivery sites once a month. Cash, credit, debit and SNAP accepted; anyone is able to participate. No pre-payment or pre-registration required. Pricing and package details available at https://fareforall.org/pricing/. 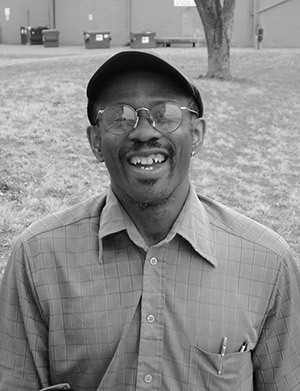 There is a current Fare For All pick-up site at Open Arms of MN, located .6 miles away from the Aldi at 2500 Bloomington Ave S (https://fareforall.org/directory/listing/minneapolis-little-earth-of-united-tribes-2). Winter/spring schedule for the Open Arms site is Friday from 1-3 p.m. on March 22 and April 19. • Minneapolis’ staple foods ordinance (SFO) is a local law that requires grocery stores – including most corner stores, gas stations, and pharmacies – to stock nutritious foods in six basic categories (dairy/dairy alternatives, animal and vegetable proteins, fruits and vegetables, 100% juice, whole grains, and beans/peas/lentils). There are several stores located near Aldi and stocked most or all of the required staple foods when last inspected (summer 2018). Waite House staff, Jovita (left), assists a community member in the Waite House Food Shelf. Located right here in the Phillips community, the food shelf at Waite House Community Center is one of the busiest in the Twin Cities, serving nearly 4,000 families on an annual basis. It serves as a much needed resource for many single-family households, homeless and highly mobile community members, seniors, immigrants, and others who – for a variety of reasons – are having a tough time making ends meet. Yet, in the past four years, the amount of participants have increased 25% while funding changes have been minimal. This means that more than ever, this March is a critical time for the Waite House food shelf to garner support. During the Minnesota FoodShare March Campaign, both monetary and food donations made to Waite House (and all participating food shelves) will be partially matched by the group Minnesota FoodShare. Also, did you know that because Waite House is a nonprofit with ‘bulk purchasing abilities,’ they can purchase even more food to multiply your dollar’s buying power? AKA, they are able to stretch your $1 into $7, allowing them to purchase even more fresh, healthy, and culturally appropriate food to serve our community members. with expectations to provide an even greater amount this year. Please consider supporting the health and wellness of your neighbors and fellow community members by making a donation this March. All monetary and food donations made through the month of March will be partially matched by Minnesota FoodShare. • Donate money. You can donate online at www.pillsburyunited.org or drop off a check at the center. • Donate food. Food donations can be delivered any time during business hours: Monday-Friday, 10 a.m. to 5 p.m. Special accommodations could be made to receive donations at other times if needed. See contact information below. Suggested donation items include: Oil, flour, cooking spices, Masa (like Maseca), salt and pepper, low sodium soups, and oatmeal. Would you like to use the food shelf? • Families and individuals can visit the food shelf once each month. For the first visit, there is a short registration process in which a form of identification for each member of the household will need to be provided. • Please bring your own bags. Hours: Mondays and Fridays: 1-5 p.m., Tuesdays and Thursdays: 10 a.m. to noon and 2-5 p.m.
Also – Check out our free Community Café from 11 a.m. to 12:30 p.m. Mondays-Fridays or Produce Days every second and fourth Wednesday of the month. Find more details online at pillsburyunited.org/waite-house or by calling 612-721-1681. Questions or want to get more involved? Pillsbury United Communities – Waite House is located at 2323 11th Ave. S. Minneapolis, MN 55404. The corner storefront that was Roger Beck Florist until November 2018 at 1100 E. Franklin Ave. is, apparently, now owned by and about to become the UnBank currently at 1009 E. Franklin after initially being restricted from being there because it was too close to a “mission” by city zoning requirements. Historically, businesses like UnBank and plasma centers being in a retail and residential area are seen as predators of poor people and people living within difficult circumstances. The presence of such businesses is usually a characteristic that reduces signals an area’s decline and causes a drop in property values. This property’s value and advantage to E. Franklin Ave.’s vast improvements of the last three decades were raised when it was improved from Mr. Arthur’s 3.2 Bar to the Wendell Phillips Federal Community Credit Union in 1996. Ironically, that credit union had the opposite mission and ethic of helping local people into better navigate financial circumstances and improve their well being rather than taking advantage of them. The “bottom line” is that UnBank presence at this prominent corner hurts the “bottom line” and lives of its clientele and of other businesses and the avenue generally. 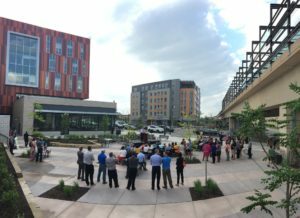 Former District 4 Hennepin County Commissioner Peter McLaughlin speaks during the South Minneapolis Hub opening along Lake Street and Hiawatha Ave.. The South Minneapolis Hub represents a move to decentralize human services from downtown to make it easier for people to get access the county’s social services at a site that’s more accessible. EDITOR’S NOTE: This is part two of a two-part series that originally appeared in the Longfellow/Nokomis Messenger. The first section ran in the February 2019 edition of The Alley. If there’s one thing that defines Peter McLaughlin’s career as a public servant, it imay be his attitude towards what others consider to be lost causes. There’s something about certain projects that kept him searching for solutions, even over decades, observed McLaughlin, who was elected as District 4 Hennepin County Commissioner first in 1990 and left office in December. Take the Fort Snelling Upper Post, a group of 27 historic buildings that were falling apart. There wasn’t a fund of money available to pay for fixing the buildings nor anyone interested in using them. But McLaughlin believed they should be saved and so he kept talking about it with others. When the site was listed as one of the top endangered historic sites in the United States, he realized there might be a source of workers he could tap into. Even better, the county was already paying for the Sentence-To-Service crews so it wouldn’t cost additional money. It came in 2018 when the Plymouth-based Dominium, no stranger to historical rennovation projects, and the Department of Natural Resources struck a deal to redevelop the site into 176 units of affordable housing. Soon veterans and families will be breathing new life into the 47-acre site that’s the last unincorporated area of Hennepin County. Phillips West Neighborhood Organization and Midtown Phillips thank Peter McLaughlin for his Outstanding Service Representing Phillips residents from 1985-2018 during the 22nd Annual Phillips West Winter Social on Feb. 21. 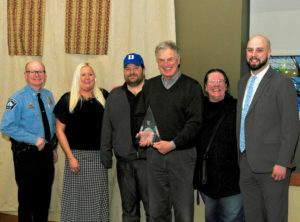 Left to right, Minneapolis Police Third Precinct Inspector Michael Sullivan, PWNO Executive Director Crystal Windschitl, PWNO Board Chair Rev. Jacob Rock, Peter McLaughlin, Jana Metge of Midtown Phillips, and Ryan SanCartier, senior aide of 6th Ward Council Member Abdi Warsame. The event brought together about 300 neighbors for a huge smorgasbord of supper choices by several Phillips West institutions on a serving table the length of the large assembly room. The evening was prefaced by institutional exhibitors in the Changing Lives Lobby at 2400 Park Ave. each decorated with institutional banners, paraphernalia, gifts like candy bars and ballpoint pens and a whole lot of information by institutional representatives. PWNO also honored former state Representative Karen Clark an award at the Phillips Wide Fall Clean Sweep in October for her service. Around the same time Minneapolis started closing libraries — an option they hadn’t done even during the Great Depression, McLaughlin pointed out. And they planned to close more. Two of the three closed libraries were in McLaughlin’s district, Roosevelt and Southeast. There were issues, such as the surburban libraries worried their money was going into a declining system, and the city libraries worried their referendum money would be used outside Minneapolis. But a deal was struck, and the merger official on Jan. 1, 2008. Since the merger, all the closed libraries have been re-opened, nearly every library in the system has been rennovated (the last project just began), and hours added. For the first time since the Kenendy administration, Central Library downtown is open seven days a week. Neighbors stopped the freeway from going in during the 1960s, but then nothing happened along the giant swatch of right-of-way along Hiawatha Ave. for years. It took until 1985 to reach a deal about what the road would look like, and until the early 1990s to finish the project. Meanwhile, discussions had gone back and forth for years about lightrail lines and which one should be the first. “I took on the fight for rail transit,” McLaughlin said. He knew one of his biggest battles was to reach an agreement between Hennepin and Ramsey counties, and keep that in place until federal and state funding was appropriated and work could begin. It was agreed that because right-of-way was available along Hiawatha and the Environment Impact Statement already done (because of the road work) that it would be the pilot project. Once the Blue Line was operating (2004), the Green Line followed in 2014, connecting Minneapolis and St. Paul along University Ave. The Southwest extention of the Green Line is next. When McLaughlin attended the groundbreaking on Nov. 30, 2018, he brought the same shovel he used at the Blue Line groundbreaking. Some of the lightrail supports, including McLaughlin, promised that there would be development along the lines. Every year for many years, a Star Tribune reporter would call him to ask when development was going to happen. Hennepin County had already decided to decentralize its services and spread out to more convenient buildings within the communities it serves. It needed a hub somewhere in south Minneaplis, so McLaughlin pitched the idea of putting a service center at Hiawatha and Lake. 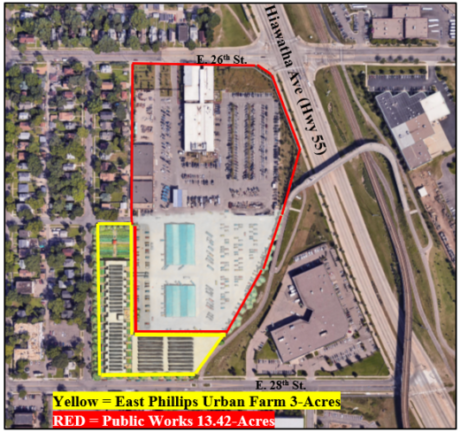 It became part of a development that will add more than 500 housing units and a permanant space for the Midtown Farmers’ Market. The first housing unit opened on Dec. 1, 2018. Next year, a site that wasn’t generating any tax revenue while owned entirely by Minneapolis Schools will generate $300,000 in property taxes and that’s just a start. The Midtown Greenway is an iconic part of south Minneapolis now, but when McLaughlin started his career it was a trench where folks threw their old mattresses and trash. The city had just been dubbed “Murderopolis” by the New York Times, and south Minneapolis was the epicenter of the crime issues facing the city. The line has become one of the busiest bikeways in Minnesota and recognized as the best urban bike trail in the nation. Plus, new housing and retail has gone in along the trail. McLaughlin has approached policy making by trying to fix community problems, even when there was no clear role for Hennepin County in the solution, pointed out his principal aide Brian Shekelton. “Before Commissioner McLaughlin took office Hennepin County wasn’t helping to building train lines, it wasn’t helping to build permanent homes for farmers markets, it wasn’t leading a partnership to build Greenways (Midtown was a community development project, not just a transportation/recreation project), it wasn’t investing in Minneapolis parks or Minneapolis libraries, it wasn’t creating train stations like Target Field Station, and it didn’t have a tree nursery to replenish the lost Ash trees. Join your neighbors and other Community Partners for updates from Local City Government, 3rd Precinct Police. Meeting will take place at the Center for Changing Lives in the Centrum Room (2400 Park Avenue). Free parking is available in the rear of building off Oakland Ave. Free delivery pizza and beverages will be provided! If you would like more information or would like to get involved with the neighborhood please contact Crystal at 612-879-5383 or email her at pwno2005@yahoo.com. Here we are, coming up on the Spring “pick.” For those of you not familiar with the term, that is when Metro Transit drivers get to pick their piece of work for the next three months, in order of seniority. That is also when route and schedule changes are made, unless a state of emergency trumps waiting for the next pick. The schedules based on this pick go into effect March 9, 2019. • Extra buses eastbound on Route 2 on weekday and Saturday nights. • Minor schedule adjustments on Routes 2, 5, 9, 14, 19, and 22. • Routes which currently run on 8th Street downtown are changing over to 6th Street due to construction. These include Routes 5, 9, 19, 22,and 39. This also means the Ramp A/7th Street Transit Center will not be in use. Route 39 will start and end at the Ramp B/5th Street Transit Center instead. Route 14 already goes through Ramp B/5th Street. • A few early morning and late night buses on Sundays on Route 9 will be abolished. • Route 14 will be changing over from 4th Street to 7th Street downtown. Metro Transit is usually free twice a year: New Year’s Eve and Saint Patrick’s Day. Because Saint Patrick’s Day is on a Sunday, the Minneapolis and Saint Paul parades are going to be held the day before, and most of the drinking and partying will probably be on Saturday, too. Therefore, we will be getting our free transit a day early. From 6 p.m. to 3 a.m. the evening of Saturday, March 16, 2019, Miller Coors will be picking up the tab for our bus and train rides. This is a good deal for everyone whether or not they drink, but it’s an especially great deal for everyone who doesn’t get arrested for driving while intoxicated, or worse yet, get into an accident. Please use this service if you’re going to get drunk anywhere except at home. I’d like to have you around to read this column next month! Registration Required. Kaalay oo baro Teknoolojiga maktabadda. Shaqaalaha waxey ku bilaabi doonaan Open lab-ka 20-daqiiqo oo horudhac ku saabsan teknoolojiga maktabadda. Mowduucyada laga hadli doono waxaa ka mid ah: sidaad u isticmaali laheyd kombiyuutarada maktabada, Internet-ka iyo Email-lada, asturnaanta, printer-rada iyo Scanner, iyo sidaad buugaagta uga raadsan laheyd bogga maktabada iyo kheyraadka laga helaba. Markuu mowduuca horidhaciisa lasiiyo, ka qeyb galayaasha waxey waqti u heli doonaan iney sii dabaqaan waxey barteen iyadoo shaqaalahana diyaar u ahaan doonaan iney uga jawaabaan su’aalahooda mid-midna u caawiyaan. Come and explore library technology. Staff will start each Open Lab with a 20-minute orientation to library technology. Following the orientation, participants will have time to explore on their own, while staff will be available for questions and one-on-one support. March 6 Topic: Creating a library account, using the library catalog. March 13 Topic: Online library databases for learning, literacy and employment. 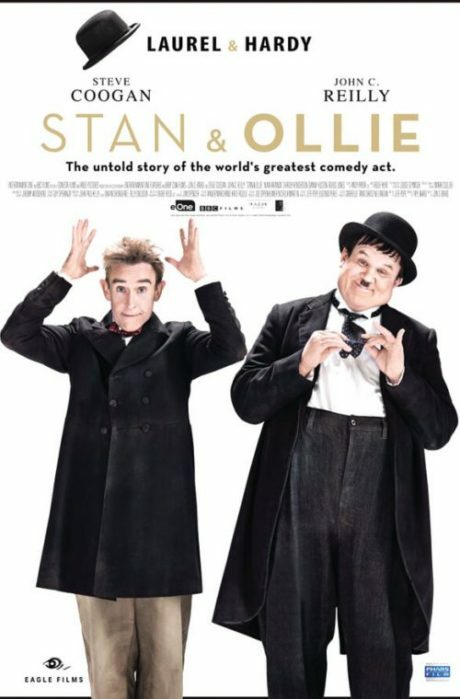 A delightful, modest biopic about Stan Laurel (Steve Coogan) and Oliver Hardy (John C. Reilly), the best comedy duo in Hollywood at its golden age. Director Jon S. Baird (“Filth” 2014, “Cass” 2008) and writer Jeff Pope put together a very fine biopic about Stan and Ollie in phases of their careers. The first is when both comedians worked for Hal Roach Studios in 1937, at the height of their careers; the second phase, fast-forward to 1953, their popularity and money has greatly waned. The lion’s share of the film is spent in the latter period. Stan and Ollie (nicknamed “Babe”) go on tour in Great Britain attempting to rekindle their fame even after the two men split for many years. They start in Newcastle before bouncing around in Bristol, Birmingham, Manchester, Nottingham, England; then to Glasgow, Scotland; then to Dublin, Ireland. Their famous acts, including their classic dance duet, in theatre after theatre witnessed half-filled seats. Some people thought Stan and Ollie had died. I would be remiss if I didn’t mention the good performances by each man’s wife (Ida Kitaeva Laurel played by Nina Arianda and Lucille Hardy played by Shirley Henderson), both women with forebearance joining their spouses on the tour. Altogether Stan Laurel and Oliver Hardy made over 100 movies, but that was in the 1920s-1930s when the two had great success in money and fame. By 1953, they were trying to make a comeback, but now Ollie is obese and suffering from heart trouble. Although they say some unkind things to each other, and resentments surface going back in the Hal Studio days, the two men love each other. I grew up in the 1950s and 1960s when Stan (d. 1965) and Ollie (d.1957) were still alive yet well beyond their primes. I watched them on television and on big screens at the local theaters. (The houses in those days was one big screen.) Those are the days when kids went to the movies for 25 cents (it went up to 50 but that’s still a deal), seeing a full featured film (in color or black-and-white), adding to it “Laurel and Hardy” “The Three Stooges,” a Bugs Bunny cartoon, etc.). As such, “Stan and Ollie” is a must for me. Cast: John C. Reilly (Oliver Hardy), Steve Coogan (Stan Laurel), Danny Huston (Hal Roach), Shirley Henderson (Lucille Hardy), Nina Arianda (Ida Kitaeva Laurel). Director: Jon Baird. Writer: Jeff Pope. Editor’s note: The following was submitted as an open letter by Carol Pass, Cassandra Holmes, Chad Hebert, Clarence Bischoff, Dean Dovolis, Abah Mohamed, Steve Sandberg, and Jose Luis Villasenor. The city threatened eminent domain to purchase the Roof Depot site in order to expand its public works facility at 26th and Hiawatha Ave, as viewed from the Sabo bridge. Neighborhood citizens want part of the property for use as an urban farm to create jobs for local residents. We then had a long-awaited meeting with City Chief Financial Officer Mark Ruff who acknowledged that he helped C.M. Cano write the “Staff Direction” though he stated much was C. M. Cano’s work. 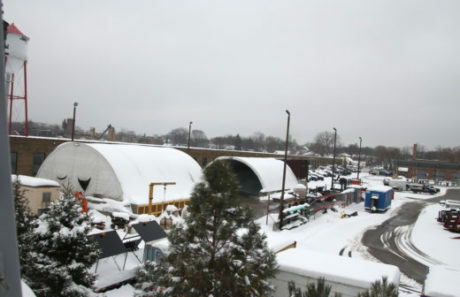 Although, by statute, members of the City Council hold decision-making power on this property, it is clear that CFO Ruff assumed he was speaking for the City Council when he stated at our Feb. 4, 2019 meeting that “…there will be no non-municipal use…” of anything in the Roof Depot site with the possible exception of off-hour use of the training facility. To further his point, he stated that he has control over the nearly $4 million architectural budget, and he will bring his architects his interpretation of the staff direction and that is what they will design. The staff direction has many possible interpretations. CFO Ruff’s is one. However, in our discussions with every council member, except Council Member Goodman who refused to meet with us, there is no possibility the Council vote would have come out unanimously in favor of NOTHING FOR THE COMMUNITY at the Roof Depot site if they had known that was to be the interpretation of the outcome. If that were the case, the staff direction would have included only 3 words “Approve Option A.” The remaining two pages would have been irrelevant. So, either CFO Ruff and staff are usurping city council decision making, or the council members we talked with were not being truthful. In other words, if CFO Ruff’s interpretation prevails, and the city council members were being truthful, then decision-making in Minneapolis is upside down and staff driven with meaningful community engagement totally absent and the power of council decision-making totally neutered! 3) Immediately start working to move the other neighborhood polluters out of East Phillips – our people have suffered under the devastating effects of their negligence long enough. Please contact the mayor, the city council members, the state and federal senators and representatives and the governor and help us make the case for what is right. In your calls insist on real community engagement and development instead of city sponsored increases in pollution and congestion which is in violation of the state’s Clark/Berglund Cumulative Pollution legislation: Thank you!